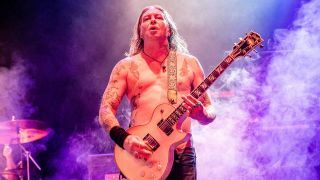 Sleep frontman Matt Pike has revealed to Metal Hammer that he turned down the opportunity to perform at Coachella festival in favour of Roadburn festival, despite Coachella offering much more money. The stoner metal pioneers are scheduled to perform their Holy Mountain album in full at Roadburn next April, plus another set focusing on their latest album The Sciences. “We love that festival and we love Walter who puts the festival on,” Matt tells Metal Hammer. “We sorted it so far in advance that, at present, that’s the only thing that we have planned for next year. We aren’t even booked anywhere so far, so there’s lots of scheduling that we need to do... but we actually turned down Coachella because of Roadburn! Roadburn takes place in Tilburg, Netherlands, on April 11-14, and this year is curated by At The Gates vocalist Tomas Lindberg. Already confirmed to perform are Cave In, Heilung, Old Man Gloom, Thou, Birds In Row, Drab Majesty and more. Tickets for Roadburn 2019 go on sale October 4.